People want to be free, and they want access to truthful, transparent information. That’s why YouTube’s communist-inspired censorship efforts will not succeed. See Real.Video for an upcoming announcement. Also read Censorship.news or Freedom.news for more coverage. 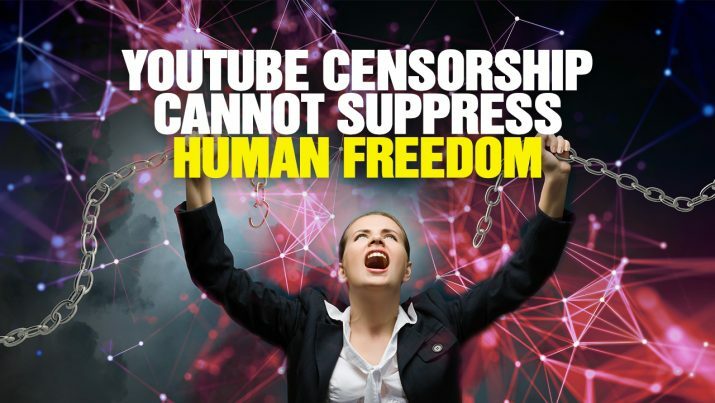 YouTube CENSORSHIP cannot suppress human FREEDOM from NaturalNews on Vimeo.